ATLANTA, Georgia, Jan 10 2013 (IPS) - Georgia Power, a subsidiary of Southern Company, one of the largest utilities in the U.S. south, plans to retire 15 coal and oil-fired energy generating units at four different plants, in the latest sign that a national campaign against coal is gaining traction. The 15 units comprise a total of 2,061 megawatts, one quarter of Georgia Power’s coal fleet. Georgia Power will seek permission from Georgia’s Public Service Commission (PSC) to close the units, and there is no reason to expect that the PSC will refuse. “The economics of coal are changing, and we’re seeing massive changes in terms of how the U.S. generates its power,” Jenna Garland, associate press secretary for the Sierra Club, a major U.S. environmental lobby group, told IPS. “In the next few years, we hope Georgia Power will make plans to phase out more of their coal plants and replace them with energy efficiency and clean energy,” she added. A November 2012 report by the Union for Concerned Scientists titled “Ripe for Retirement: The Case for Closing America’s Costliest Coal Plants” reported that Georgia has the most coal-fired plants that should be considered for closure out of any U.S. state. 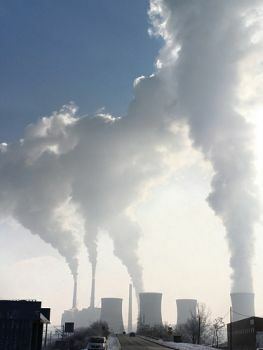 “As many as 353 coal-fired power generators in 31 states – representing up to 59 GW of power capacity – are no longer economically viable compared with cleaner, more affordable energy sources,” UCS said in a statement. In 2011, approximately 42 percent of all electricity in the U.S. was produced by burning coal, the report stated. “But today, more than three-quarters of U.S. coal-fired power plants have outlived their 30-year lifespan – with 17 percent being older than half a century,” the report stated. UCS has recommended that Georgia Power switch to wind power and burning natural gas, although there are numerous environmental and health problems associated with hydraulic fracturing, also known as fracking, the process by which natural gas is removed from the ground. “It is a significant move in the right direction definitely,” agreed Amelia Shenstone, southeast energy organiser for the Southern Alliance for Clean Energy. “We have been encouraging them to consider retiring some of these plants. As early as 2011, 2012, Georgia Power’s own studies found that some of these units would be most economical to retire. They retired two units, Branch 1 and 2, at that time,” Shenstone told IPS. She emphasised that the plants that are closing are well beyond their expected life cycle. “I think it’s possible the EPA regulations have helped dictate the schedule (of the closures)… but these plants really are getting old. They have a life expectancy of 30 years. These units are 44 to 63 years old. The oldest plants now are 60 to 70 years old. These plants don’t have a precedent for what the maintenance costs are,” Shenstone said. Some coal units identified in the UCS report in Georgia, and in other U.S. states, remain open. “We will be analysing those in the coming weeks,” Shenstone said. According to Sierra Club, the latest announcement by Georgia Power brings to 129 the total of plant retirements announced for closure – either in whole or in part – since Sierra Club launched the Beyond Coal Campaign in 2002. The 15 units to be shuttered in Georgia include two remaining coal units at Plant Branch in central Georgia, and three coal units and one oil unit at Plant Kraft, near Savannah; this will likely lead to the closure of these two plants. Georgia Power also seeks to close five coal units at Plant Yates in Coweta County, south of Atlanta, and two coal-powered units at Plant McManus, on the Georgia Coast. The company will also request that the two remaining units at Plant Yates switch from coal to natural gas. “Several factors, including the cost to comply with existing and future environmental regulations, recent and forecasted economic conditions, and lower natural gas prices contributed to the decision to close these units,” the company said in a statement. “We still have a commitment to 21st century coal. The units with coal are still part of our mix and will still be part our mix,” John Kraft, a spokesman for Georgia Power, told IPS. It is not immediately clear how the company plans to make up for lost capacity from the closed plants. When asked, Kraft said the company will file a report with the PSC later this month. “All that will come under the Integrated Resource Plan, a plan we file under Georgia law that is a 20-year outlook on all the resources that will be needed to meet demand. We will file at the end of this month, taking into account the retirement dates that we’re requesting here,” Kraft said. Last month, the PSC approved a plan by Georgia Power, that, as reported by IPS, sought to add a relatively small amount – 210 megawatts – of solar power to its energy mix over the next three years. This additional energy, which will come online around the same time that the coal plants are retired, will more than triple Georgia Power’s existing solar capacity. The company expects that two new nuclear power reactors at Plant Vogtle, also in Georgia, will come online by 2017, one year later than expected. However, the plant has gotten bogged down in construction delays and disputes between contractors. The company has also made a significant investment by purchasing long-term contracts for natural gas, something that Garland says is a cause for concern. This is excellent news. The only thing is, is there anyway these generators can be recycled and converted to wind power units or at least use the components as scrap metal (I think my ignorance of turbines is showing big time ? The days of just trashing the old, to just rot/rust away have got to be behind us. Scarcity by design, a Pretending that Carbon is pollution, is a Noble Lie.